The Luxe Majestic Oil line! I didn't wanna believe it for myself, but we are on the periphery of Fall 16. The sun is setting earlier, mornings are a little chillier, and folks are already talking about that darn crack drink Pumpkin Spice Latte. And the fact that it's been gloomy for the past 2 days is really driving the point home. This weather about to have me walking around the house in socks in a minute (I love being barefoot). And although it hasn't recessed into its solidified state, it's officially time for me to put my coconut oil away. Every year, I cycle between two main oils - coconut oil for spring and summer, and argan oil for fall and winter. The rationale that I go by hasn't exactly been scientifically tested, but in my mind it works. In the colder months, I shy away from oils and butters that congeal (harden) in lower temperatures. Because if it's getting solid in the jar or bottle sitting around my house, what's it gonna do in my hair when I go outside into the cold air? Bye, coco! See you #SummerSeventeen! Exactly. Be stiff, hard, and crunchy - and have me thinking my strands are in some sort of crisis. Ain't nobody got time for that. Argan oil is in my fall haircare arsenal for a number of different reasons. 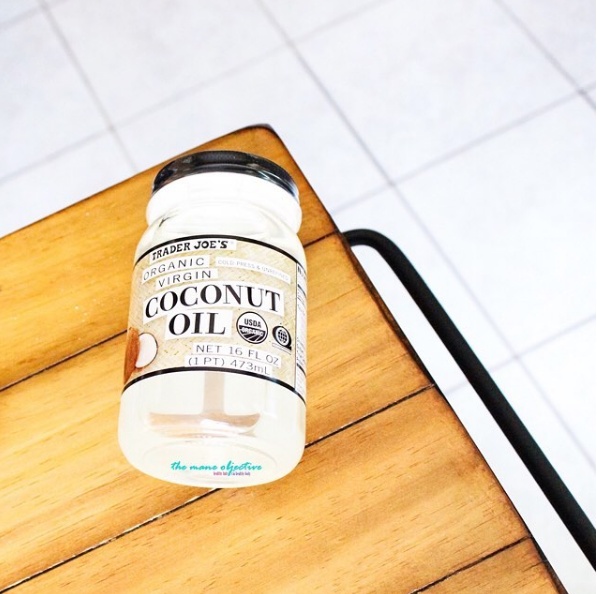 It's lightweight, nourishing, protective, rejuvenative, and now thanks to brands like Naturelle Pro, affordable. Argan oil contains high concentrations of vitamins A and E, Omega 6 fatty acids, carotenes, squalene, phenols, and other phytonutrients. Vitamin A is a potent antioxidant, and along with Vitamin E, helps to fight free radicals to prevent and reverse damage and aging in hair. Additionally, Vitamin A assists in sebum production to effectively coat and moisturize the hair -- helping to ward off breakage. Omega 6 fatty acids control water loss by helping to ciment cuticle layers, stimulate hair growth, and can even provide some relief for dry, itchy, and flaky scalps, while phytonutrients nourish the scalp at a cellular level. Since Argan oil is so nutrient-dense, a little bit goes a long way. One or two pumps per section of hair is plenty enough to impart softness, shine, and moisture. When I learned that Naturelle Pro was releasing the Majestic Oil collection just in time for fall, I was like yassssss! If you're a regular shopper at Sally's like me, then you may already be familiar with the Naturelle Pro brand (yep, Biotera is one of their other collections). What I love about Naturelle Pro is their commitment to creating quality products comparable to some of the overblown (and overpriced) "faves" on the market. 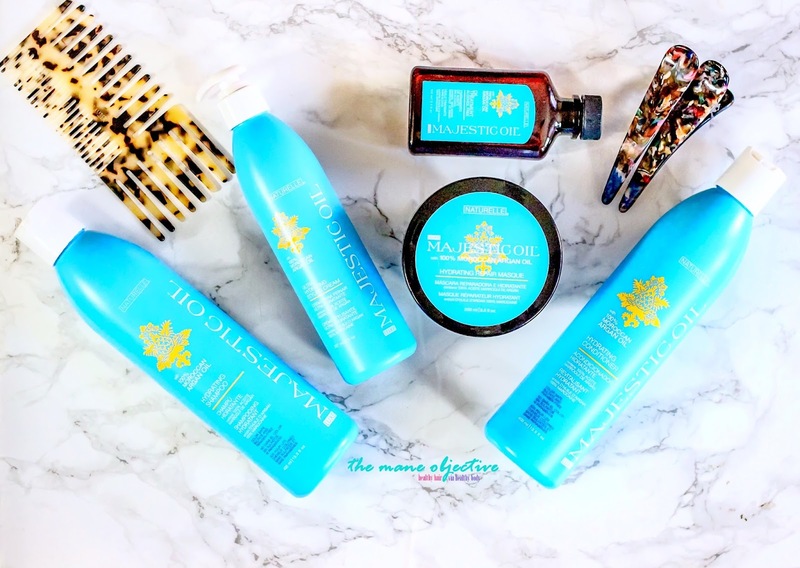 In fact, when I learned that Luxe Majestic Oil was a swap for the super expensive Moroccanoil collection, my product junkie levels of hype were on some next level ish. 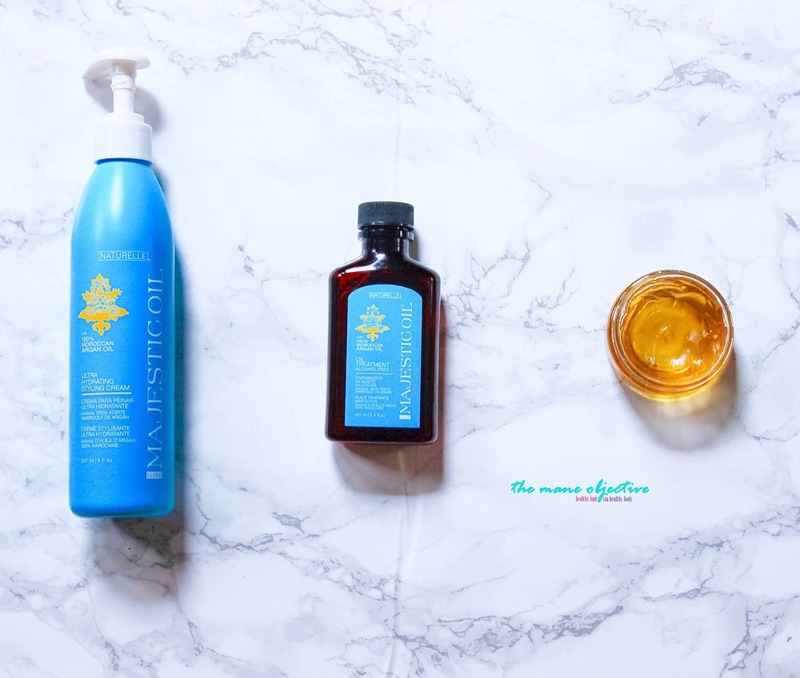 I've always wanted to try the Moroccanoil collection, but to be honest, the price point kept me away. 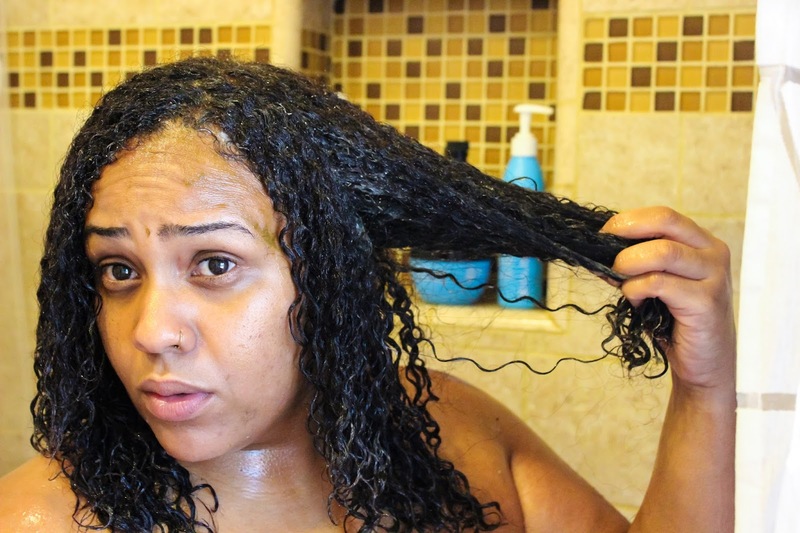 Ain't nobody got time to spend $55 on deep conditioner. 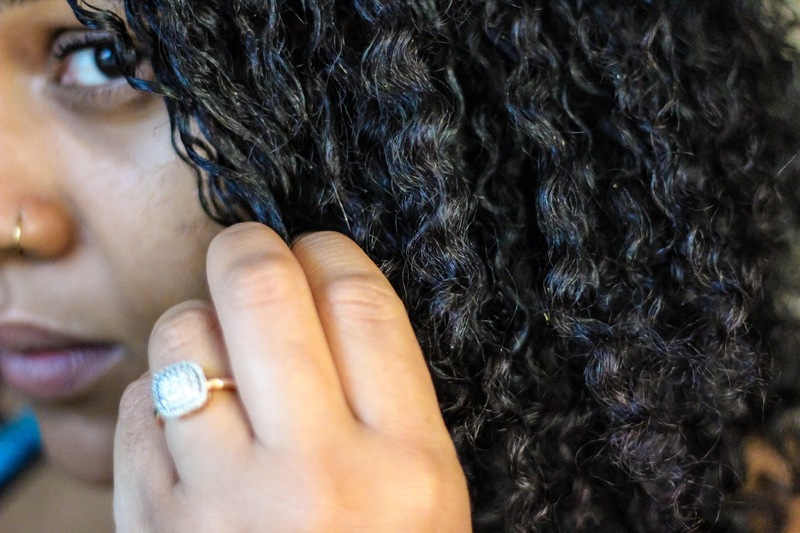 So with the help of Naturelle Pro's Luxe Majestic Oil line, I'm going to break down step-by-step how I transition my natural hair care regimen to fall, and prep my curls for cooler weather. Plus, I'm gonna spill a few deets on each product. The Luxe Majestic Oil line is available exclusively at Sally Beauty and SallyBeauty.com. Each product retails for $12.99, or $12.49 with your Beauty Club membership. Oh and pssst - they're on BOGO 50% off this month, until the 30th. Don't mind my expression, or the remnants henna on my face. Before a single drop of shampoo touches my scalp, I personally must detangle with a conditioner first. With Luxe Majestic Oil Hydrating Conditioner, this function is two-fold: one, going into wash day with detangled hair is always a good look (and makes the shampooing process go by much faster). Two, it serves as a hydrating pre-poo treatment for my curls. All shampoos are formulated with surfactants - even the most gentle ones. 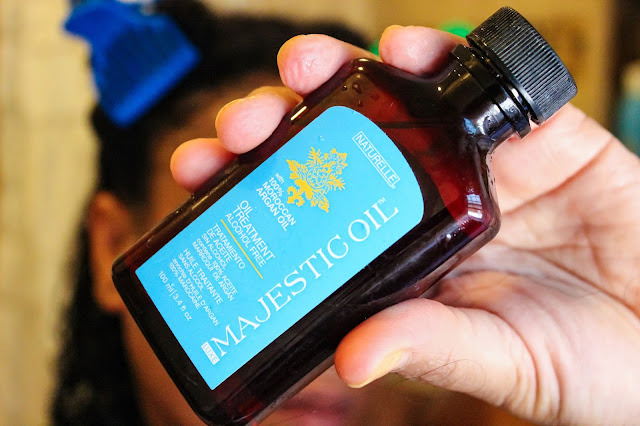 And because maintaining hydration inside my curls is integral to preventing dryness, frizz, and breakage, detangling and pre-pooing via Luxe Majestic Oil Hydrating Conditioner prior to shampoo sets me up for a super hydrating wash day. Cetearyl & Stearyl Alcohol: Considered "fatty alcohols" -- NOT to be confused with drying alcohols such as ethyl. Both cetearyl and cetyl alcohol are lubricants, thickeners, and emollients. They give conditioner its velvety feel without making hair greasy. Also used to keep product ingredients from separating. Wet hair down completely with water. Hair should be saturated and dripping. Apply a generous amount of Luxe Majestic Oil Hydrating Conditioner from root to end, gently detangling as you go. Clip hair up for 5-10 minutes (or longer), allowing sufficient time for the hydrating and conditioning ingredients to soften and penetrate the hair. Same message. Don't judge the leftover henna. With the change of the seasons, shampooing is super important. This is especially so for active naturalistas. We've got to get the gunk up from sweating, outdoor dirt and debris, plus product buildup - all without making our hair feel a hot, stripped mess. This is where Luxe Majestic Oil Hydrating Shampoo really shines. Not only does it gently clean without stripping - it has slip! Even though I love shampoos with slip, it's not something I expect. The slip in Luxe Majestic Oil Hydrating Shampoo made the cleansing process that much more pleasant - and left me with a clean scalp and soft, touchable curls that didn't feel dry, crispy, or dehydrated. Boom! Sodium C-14-16 Olefin Sulfonate: Less-harsh version of SLS, used to cleanse the hair. Cocamidopropyl Hydroxysultaine: Surfactant used to build foam, thicken, and provide anti-static properties to the hair. Disodum Laureth Sulfosuccinate: Surfactant used to build foam and emulsify (mix oil and water). Ammonium Chloride: Fragrancing and viscosity increasing ingredient. Part hair in 4-6 sections, clipping away all but one section to start with first. Rinse the Luxe Majestic Oil Hydrating Conditioner from the first section. Apply a dime or nickle sized amount of Luxe Majestic Oil Hydrating Shampoo, concentrating on the scalp. Holding the hair from the mid-shaft down, massage the scalp vigirously to lift dirt, product buildup, and debris. Finger comb and smooth remaining shampoo suds down the length of the hair. Note: only perform this step if your shampoo has slip. Luxe Majestic Oil Hydrating Shampoo definitely does, which allows for this. Rinse and clip away cleansed section. Repeat steps 1-5 on each remaining section of your hair. Next time, I'll check my face for henna before recording lol. One of the most important parts of transitioning my regimen to fall is making sure that my deep conditioning game is on fleek! Deep conditioning with the right stuff is super critical to the health of my curls - especially since I'm bouncing back in a real way from the color damage tragedy of 2015. For my hair, it's all about the right balance between moisture and protein - and let me tell youuuu something about this here Luxe Majestic Oil Hydrating Repair Masque. Not only is it infused with hydrolyzed keratin and argan oil - but it makes my hair feel ah-MAY-zing. Like, all the buttery smoothness. All the slip. All the feels. It reminds me of my love affair with Therapy Session before my hair started acting all wonky toward it. After Luxe Majestic Oil Hydrating Repair Masque, my hair feels soft, strong, and smooth. Honestly, if I had to choose, Luxe Majestic Oil Hydrating Repair Masque is my favorite product in the entire collection. Glyceryl Stearate: Mixture of glycerin and stearic acid (fatty acid) used to give products a creamy, velvety feel while softening and preventing moisture loss in the hair. Maintaining the same sections from shampooing, apply a moderate amount of Luxe Majestic Oil Masque from root to end, gently finger combing to release shed hairs. Twist and clip each section away as it is covered to prevent re-tangling. 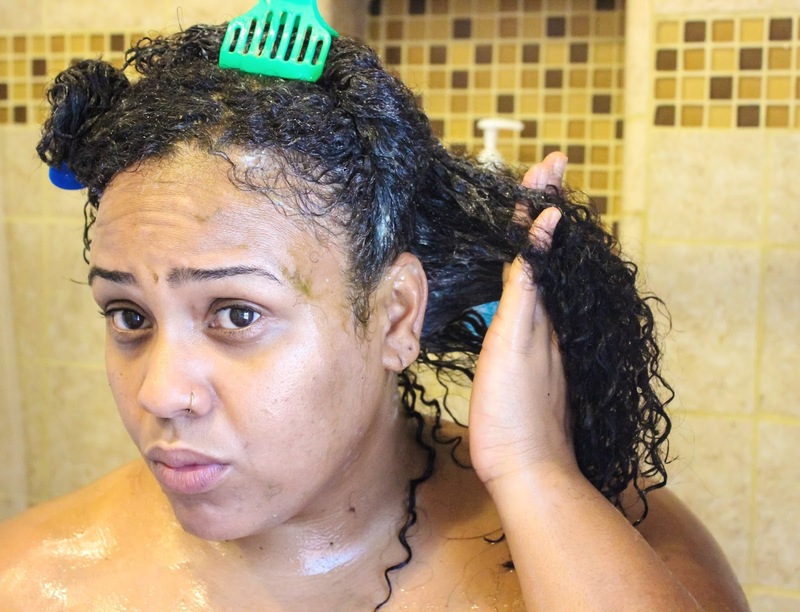 Leave in for 10-15 minutes or longer, depending on the porosity and health of your hair. Rinse and prepare for leave-in and styling. 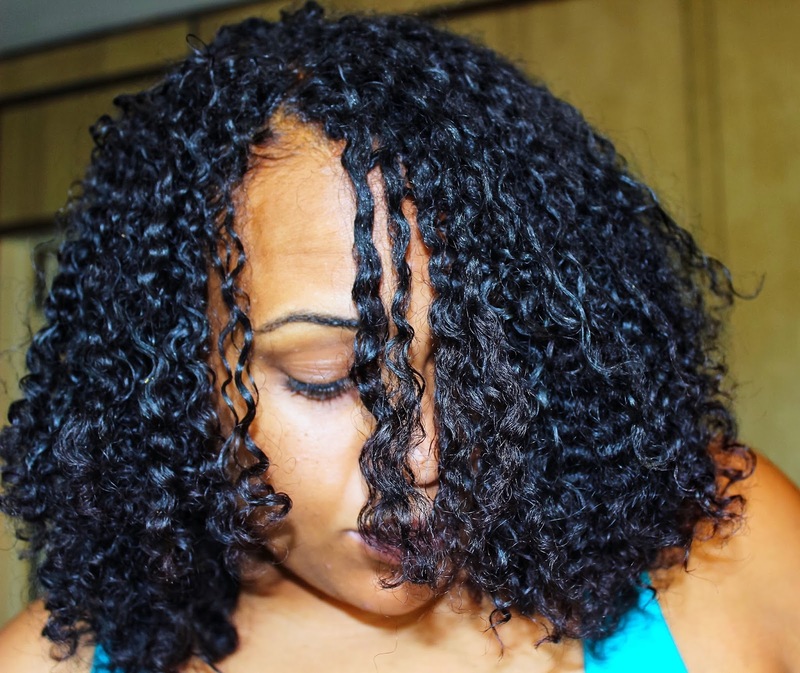 Early on, I got a lot of questions about how I kept my hair moisturized between wash days. The secret? It starts with wash day, period. The steps that I've outlined up to this point aid in maintaining moisture for the long haul, by imparting the hair with critical hydration along each step. Next up in helping to maintain moisturized hair between wash days is the leave-in process. Luxe Majestic Oil Ultra Hydrating Styling Cream does exactly what a great leave-in is supposed to do - lay the canvas of the hair, reduce frizz, soften, smooth, and help maintain hydration levels of the hair. 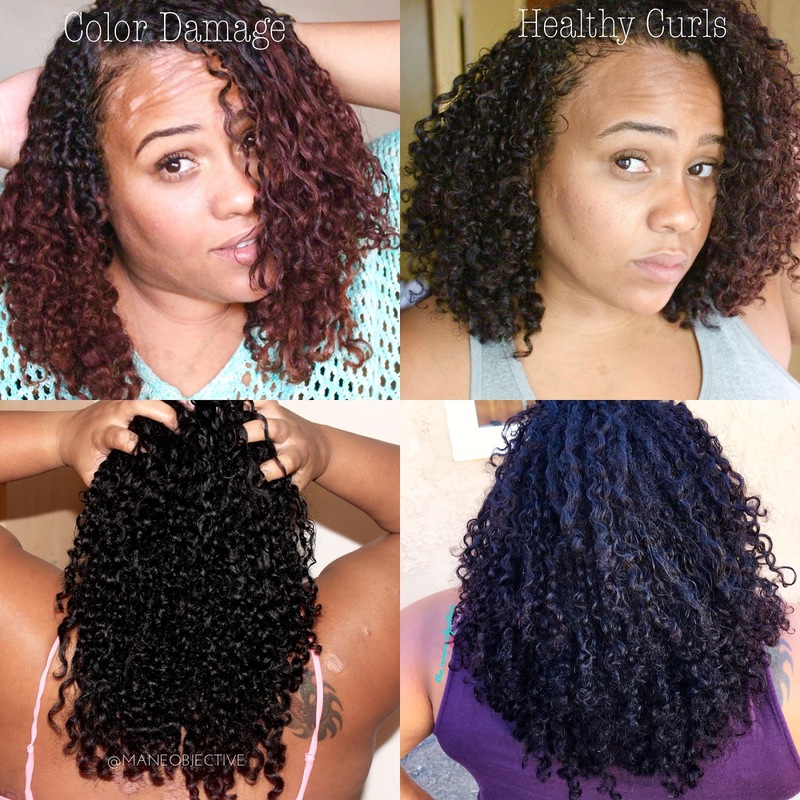 All of this helps set the proper foundation for any style - but especially the wash and go. Come through, Luxe Majestic Oil! Maintain the same sections of hair. If necessary, re-wet each section to ensure it is soaking wet. Section by section, apply 3-4 pumps of Luxe Majestic Oil Ultra Hydrating Styling Cream, working it through with your fingers and smoothing with the palm of your hand. Twist and clip away the section. Repeat steps 1-3 for each remaining section. God's not done with me yet, y'all! I've been on a roll with sealing lately. I'm not gonna preach about how important of a step this is - because I don't honestly do it all the time myself. 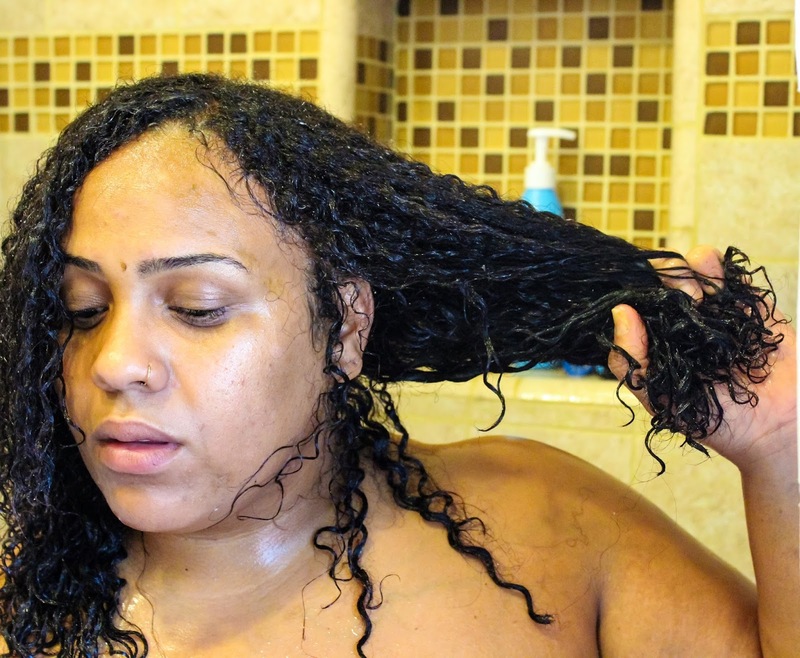 But I'm working on it, and I know when I do seal my hair (at least my ends), I see less split ends, single strand knots, and my hair is moisturized longer without needing refreshing. So I'm working on making this a consistent habit, and not something I remember to do every 4 weeks. I love sealing with the Luxe Majestic Oil Treatment, because it's got argan oil but acts as a serum as well. Full disclosure here - it (like all of the Luxe Majestic Oil products) contains siliciones. Cyclopentasiloxane and Dimethicone, to be exact. But wait - take a few minutes to read this article on why silicones are not your enemy. In my humble opinion, silicones have gotten a bad rep. And not knocking my CG peeps at all (because at the end of the day if it works for you - then keep doing it! ), but a lot of the hype surrounding silicones is a bunch of marketing propaganda and skewed information to drive sales (and prices) for a particular brand. I'll let y'all figure out who. This is the fun part. 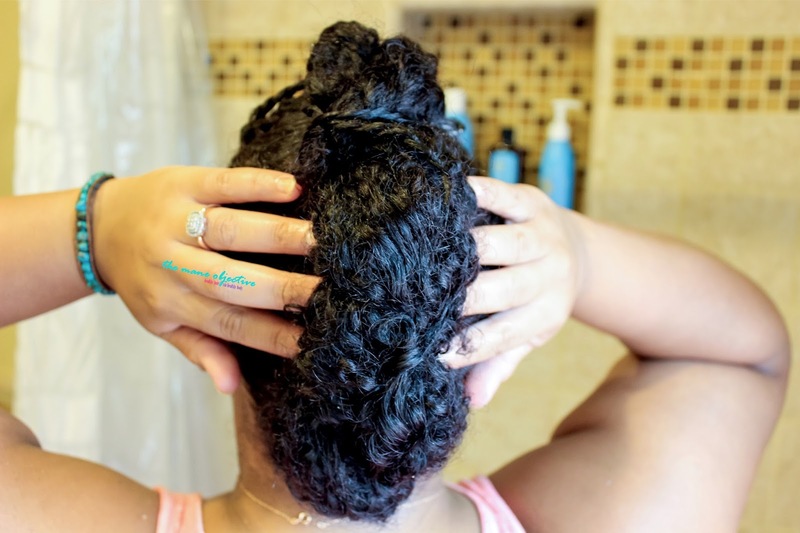 Fall doesn't automatically have to mean protective styling - but it can if you want to. 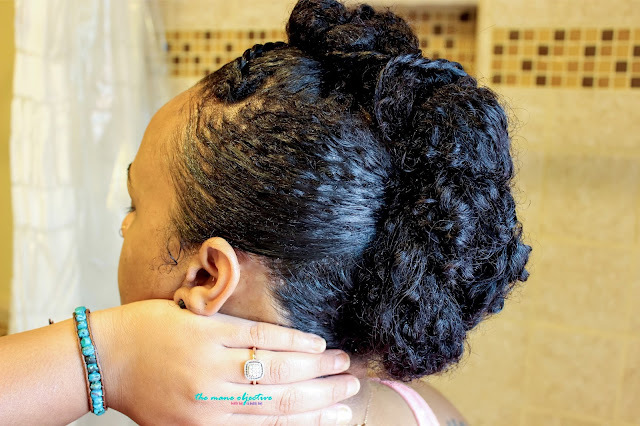 I'm an advocate of the year-round wash and go, and I was able to have soft, poppin' curls thanks to the Luxe Majestic Oil Ultra Hydrating Styling Cream, Oil Treatment, and a lil' Eco Styler Argan Oil gel. Yep, I kept the argan oil theme going. After my curls were sufficiently played out (thanks #30DaysofDope), I opted for a quick, easy updo using a little Luxe Majestic Oil Ultra Hydrating Styling Cream, Oil Treatment, and a lil' edge control. Wanna replicate this style, or add a schnazzy pomp and make it your own? Click here for the quick tutorial. I promise - this style can be done in 5 minutes or less, and requires ZERO skill. Trust me - if I can pull this look off, anybody can. Got questions about the Luxe Majestic Oil line? Drop 'em in the comments below! Wow. I don't think I've ever seen this line. There's SO much out there now and I've got products to last me into 2017 just from events alone! Lol! JERONA!!! Congratulations doll, you won!!!! E-mail me at info[at]maneobjective.com with your shipping information so we can send you the Luxe Majestic Oils line! Contest officially closed. THANK YOU to ALLLLLLL who entered! Love you much! Very detailed post on these products, Christina! Even the steps on how to use them are on point too!